You searched for which does not fit your . We've redirected you to 166-2364, which has the proper fitment. • Three different Klock Werks Kleaners packaged in an easy to carry kit. • One 4 oz. 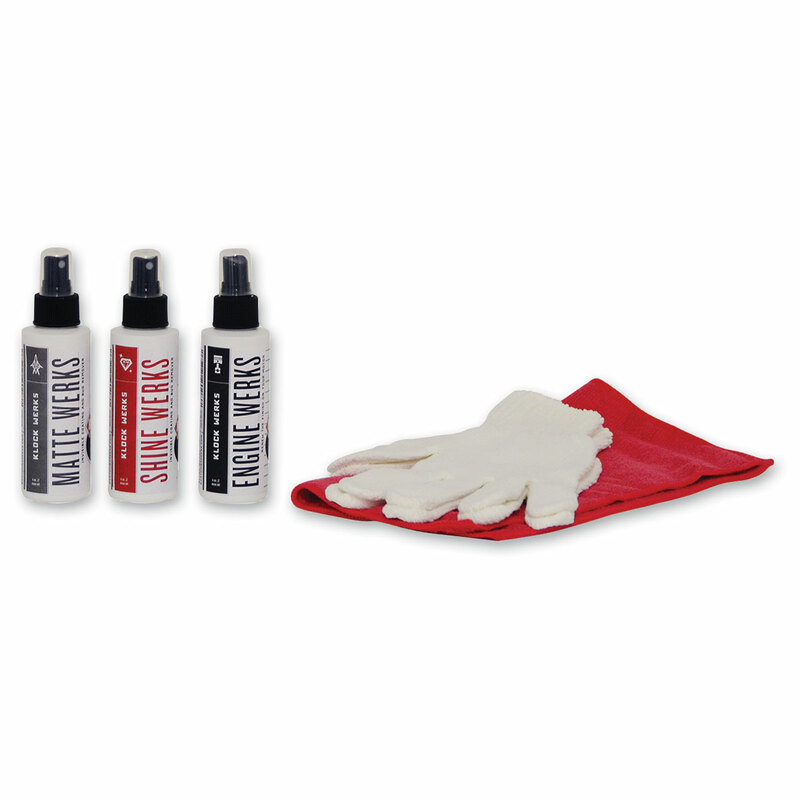 bottle each of Shine Werks, Matte Werks, and Engine Werks along with Detail Werks microfiber polishing gloves, and a red microfiber towel all included in the Klean Werks Kit. • Small enough to fit in a saddlebag to be ready to remove bugs, clean a windshield and even shine up an engine. • Use Klock Werks gallon jugs of each Kleaner to refill the 4 oz. bottles.